The Cognitive Level of Analysis in IB Psychology is one of the three core topics and is assessed in the Paper 1 SL and HL examinations. Just Give Me the Answers! is the ultimate guide to answering CLOA extended response essay questions and is your ultimate advantage when it comes to sitting the Paper 1 IB Psychology examination. All possible Cognitive Levels of Analysis examination questions have been covered with a model answer personally prepared by Derek Burton. Each model answer is guaranteed to be awarded the full 22 marks if the student can reproduce it in the examination. How exactly do we learn new information? The mind can be conceptualised as a set of mental processes that are carried out by the brain. IB Cognitive Level of Analysis processes include perception, thinking, problem solving, memory, language and attention. The concept of cognition refers to such processes. Cognition is based upon one's mental representations of the world, such as images, words, and concepts. People have different experiences and therefore they have different mental representations - for example, of what is right or wrong, or about what girls and boys can and cannot do. This will influence the way they think about the world. One of the fundamental principles of cognitive psychology is that humans are information processors and that mental processes guide behaviour. One goal of cognitive research is to discover possible principles underlying cognitive processes. The IB Cognitive Level of Analysis sees the mind as a complex machine - rather like an intelligent information processing machine using hardware (the brain) and software (mental images or representations), According to this line of thinking, information input to the mind comes as bottom-up processing - that is, from the sensory system. This information is processed in the mind by to-down processing via pre-stored information in the memory. Finally there is some output in the form of behaviour. Psychologist recognise the importance of cognition in understanding the complexity of human behaviour. 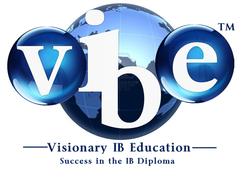 IB Cognitive Level of Analysis theories and models are applied to real world scenarios. Health and sports psychologists have demonstrated that there is a subtle relation about how people think about themselves and how they behave - for example, how they manage to deal with challenges. From social psychology we know that people who have fixed ideas about other people (stereotyping) may be more prone to discriminate. Another finding from cognitive research is that people's memories are not as infallible as the think because of the reconstructive nature of memory. Researchers have discovered that people do not store exact copies of their experiences but rather an outline which is filled out with information when it is recalled. It seems that people may sometimes have what are called false memories, because individuals cannot distinguish between what they have experienced and what they have heard after the event. Apparently, the brain is able to fabricate illusions which are so realistic that we believe that they are true. This is very clearly demonstrated in perception, defined as the cognitive process that interprets and organises information from the sense to produce some meaningful experience of the world. Factors such as context, frequency, or recency seem to influence the way people interpret an ambiguous object or event. This means that what people think is objectively experienced may instead be the result of the brain's interpretation of the object or event. A second principle of the IB Cognitive Level of Analysis is that the mind can be studied scientifically by developing theories and using a number of scientific research methods. This is demonstrated in theories and models of cognition that are discussed and continuously tested. Sometimes new findings result in amendments to original models, or a model or theory is simply rejected because the empirical evidence no longer supports it. Cognitive psychologists have to a large extent used the experimental method because it was assumed to be the most scientific method. However, the experimental tasks did not always resemble what people did in their daily lives. Even in the 1960s, Ulrich Neisser said that cognitive psychology had become too artificial and that researchers should not forget that cognition cannot be isolated from everyday experience. This is why cognitive psychologists now study cognition in the laboratory as well as in a daily context. A third principle that defines the IB Cognitive Level of Analysis is that that cognitive processes are influenced by social and cultural factors. One of the first to say this was a British psychologist Frederich Bartlett, who coined the term schema, which is defined as a mental representation or knowledge. Bartlett was particularly interested in how cultural schemas influenced remembering. He found that people had problems remembering a story from another culture, and that they reconstructed the story to fit in with their own cultural schemas. In this research, he demonstrated that memory is not like a digital recorder, but rather that people remember in terms of meaning and what makes sense to them, and this is also why memory is the subject of distortions. There is a lot to understand, learn and memorise for your IB examinations in the Cognitive Level of Analysis section of the course. There are 12 different learning outcomes, all of which are exact matches for exam questions and any of these could be asked in the exam as a short answer question (8 marks) and most as extended response questions (22 marks). Explain how principles that define the cognitive level of analysis may be demonstrated in research (that is, theories and/or studies). Discuss how and why particular research methods are used at the cognitive level of analysis (for example, experiments, observations, interviews). Evaluate schema theory with reference to research studies. Evaluate two models or theories of one cognitive process (for example, memory, perception, decision‑making) with reference to research studies. Explain how biological factors may affect one cognitive process (for example, Alzheimer’s disease, brain damage, sleep deprivation). Discuss how social or cultural factors affect one cognitive process (for example, education, carpentered-world hypothesis, effect of video games on attention). With reference to relevant research studies, to what extent is one cognitive process reliable (for example, reconstructive memory, perception/visual illusions, decision‑making/heuristics)? Discuss the use of technology in investigating cognitive processes (for example, MRI (magnetic resonance imaging) scans in memory research, fMRI scans in decision‑making research). To what extent do cognitive and biological factors interact in emotion (for example, two factor theory, arousal theory, Lazarus’ theory of appraisal)? Evaluate one theory of how emotion may affect one cognitive process (for example, state-dependent memory, flashbulb memory, affective filters). Each of these IB Psychology Cognitive Level of Analysis learning outcomes is covered in full in the members area and model extended response answers are provided in the the interactive digital book, Just Give Me the Answers! which, of course, members have full access to, and it can also be purchased as a learning and teaching resource on its own.